You wake-up every morning and launch into your routine, like exercising and reading. As your routine winds down you glance at your calendar to do list. Your relaxing and productive morning is over. And before your day has gotten started you’re already frustrated. Most of of us have to-do-list. And there’s a good reason for that. To-do-lists provide clarity on what needs to get done, prioritizes your actions, assists with planning, and can make you feel more organized. 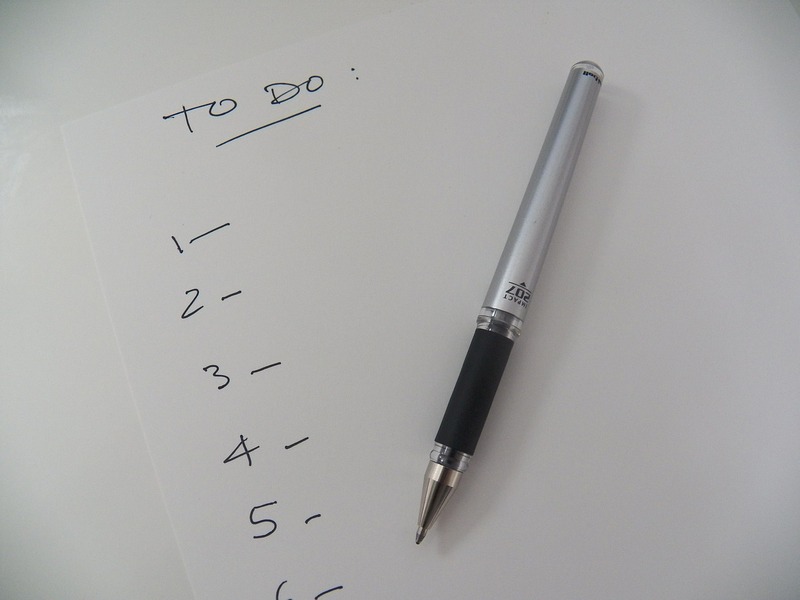 Unfortunately, the most successful and productive individuals don’t rely on to-do-lists. Instead, they let their calendar own them. Calendar to do lists don’t work. As noted above, there are some advantages with to-do-lists. However, most people eventually get overwhelmed and frustrated with their to-do-lists. That’s because we’re constantly looking at everything that needs to get done. What’s more, we’re constantly adding items to our lists, but we aren’t reducing them. And, most of us aren’t exactly sure on how to prioritize the items on the list. But — that’s just scratching the surface. To-do-lists don’t account for time. When there’s a lengthy list in front of us we tend to cross-off the items that can be done quickly. This leaves those more challenging tasks undone. No wonder 41 percent of to-do list items are never completed. The paradox of choice. Barry Schwartz has found that when as the amount of choices increase, so do negative emotions. This is due to an increase of opportunity cost. Sheena Iyengar discovered that our brains are only capable of handling seven before before getting overwhelmed. Heterogeneous priority. Most to-do-lists contain items of varying priorities. This means we tend to take care of “A” priorities and neglect “C” priorities. For example, maintaining your vehicle is often a “C” priority — until it breaks down. But, if it was an “A” priority this would decrease the chance that it would break down. In other words, they don’t distinguish between what’s urgent and important. The Zeigarnik effect. In psychology this is a phenomenon where we remember incomplete tasks more than those that have been completed. As a result, we have more uncontrolled thoughts over those unfinished tasks. This explains why you wake-up in the middle of the night worrying if you responded to an email or turned off the stove. This leads to stress and even health conditions like heart disease and insomnia. Lack of commitment devices. This is something that you put into place so that you’ll follow through on an action. For example, signing up for an annual gym membership instead of a day pass. Or leaving work at the office so you can’t spend time on it at home. To-do-lists don’t help you distinguish between prioritizing pleasant tasks over important tasks. Calendar — not to-do lists. Previous story How Do You Look Up Past Appointments in Your Calendar?